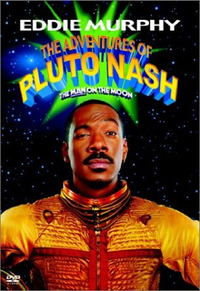 Pluto Nash (Eddie Murphy) is a retired smuggler turned night club owner in the moon-based colony, Little America. When a mysterious gangster named Rex Crater destroys and takes Pluto’s nightclub, he is determined to get it back with a little help from his friends. [easyazon_link identifier=”B00A7E3TCK” locale=”US” tag=”rabidreaders-20″]The Adventures of Pluto Nash[/easyazon_link] is absurd. The story is silly, unfocused and full of nonsensical turns engineered for cheap laughs. In other words, it is exactly what one should expect from a comedy starring Eddie Murphy. What makes it, for this viewer, the movie that I best enjoyed from this lead actor is the other-worldliness of the setting and story. There’s almost a magic to the ridiculousness of the humor. 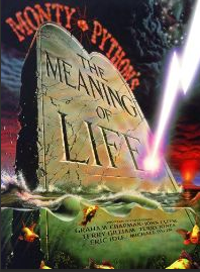 Everyone likes a mindless movie from time to time and [easyazon_link identifier=”B00A7E3TCK” locale=”US” tag=”rabidreaders-20″]The Adventures of Pluto Nash[/easyazon_link] certainly fits that “better if you don’t think about it” bill. Don’t think there’s a market for this type of film? My husband’s favorite movie is “Howard the Duck.” Every movie and every book has an audience.